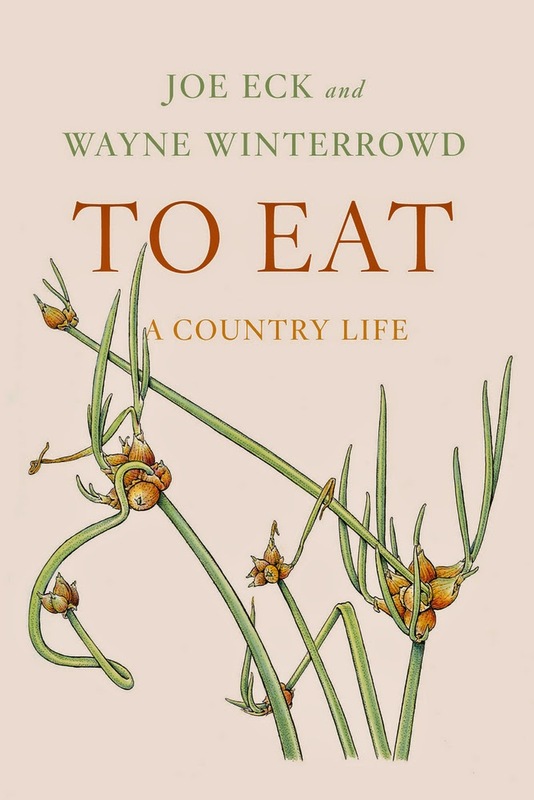 To Eat is co-authored and the last title to be published by both authors (Winterrowd passed away in 2010). The chapters are presented in plant or animal categories and offer up advice, anecdotes or history on the topic at hand. There is a noticeable difference in the narrative toward the end of the book, presumably when Eck had to complete the book without his partner, but even though the stories are more concise, they are still informative. The stories skip around from memories where the pair lived in Boston, Copenhagen, the Berkshires and finally to their farm in Vermont, where they finally had land to call their own. There were many specific plant varieties listed in the book that I found myself writing down to try in my own garden. Examples include growing Yellow Peach tomatoes (because of the author's testimonial of their sweetness) or Paprika Alana peppers (that can be ground into paprika for kitchen use). I felt an urge to find my own Yellow Transparent apple tree so I could bake "fine pies" as the authors reference. As an admirer of Queen Anne's lace, I wish to try White Belgian carrots, which originated in Belgium in 1839 and the authors say are the "most fragrant of all carrots." There are suggestions for how to properly grow crops such as rhubarb, and a handful of recipes including carrot cake and pizza dough. The only part of the book I found squeamish were the references to animals raised on the farm that were eventually killed for food. I realize this is typical farm life, but it was a little unsettling to read, though it was not graphic. At least the duo believed in treating their animals well and used humane methods to put them down. The afterword is short but heartfelt, in which Eck writes about gardening - and living a life - without Winterrowd. Every gardener will gleam some techniques that are tried and true by the authors while reading this memoir. To Eat: A Country Life retails for $25.00 and is published by Farrar, Straus and Giroux.